In truth, Emby is a direct competitor to Plex rather than Kodi, sharing the same server-client approach to storing, streaming and sharing media. Version 4.0 is a major update and existing users are warned that it involves a database upgrade, which will place the main server offline for a period. Users are also asked to check for any plugin updates in their web dashboard after updating. Version 4.0 opens with a feature being removed: basically, all Telemetry and Anonymous Usage reporting has gone, in direct contrast to Plex. There’s also new Emby Live TV Guide data for Premiere users -- Emby’s paid-for tier -- that covers the US, Canada and UK. Simply enter your zip or postcode into Emby, choose your channel lineup and you’re off and running. The database upgrade in version 4.0 brings with it the promise of improved performance -- faster library scans and TV guide refreshes are two such examples. The hardware acceleration feature has been rebuilt from scratch and comes with the promise of better hardware detection to determine what’s supported, allowing users to choose an 'easy' mode or choose their own hardware accelerator for both H.264 and H.265 streams. All major GPU platforms should see significant improvements and users are able to monitor performance from the web server dashboard. 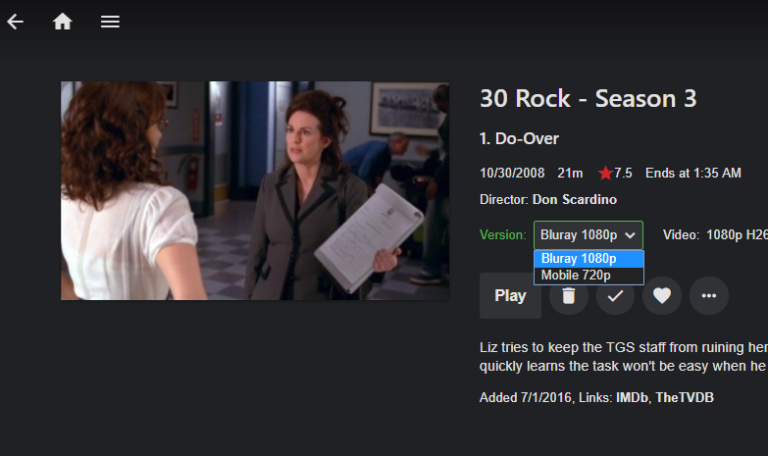 Emby 4.0 also reinstates transcoding throttling after a two-year absence, adds support for fuzzy searches and allows users to store multiple-resolution versions of TV episodes. The number available filters has also grown and users can now control library access by sub-folder. For a complete list of changes, see the Emby blog post announcing the release. Emby Server 4.0 is available now for Windows and Linux, with the Mac build due imminently. Emby media players are available across a variety of devices, including selected smart TVs.